Savage was a Green Cove Springs native who became a noted Harlem Renaissance leader, educator, artist and activist after moving to New York City. She was the first African-American woman to open her own gallery and to be elected to the National Association of Women Painters and Sculptors. The official closing celebration will take place on April 6, when the museum is free and open to the public. The day will feature live music, lectures and an original spoken word directed by Yvette Angelique Hyater-Adams. From 11 a.m. to 2 p.m., author Vashti Harrison will host two free lectures and book signings on her children’s book “Little Leaders: Bold Women in Black History.” Based on her popular Instagram posts from Black History Month 2017, the book features the biographies of 40 African American women who helped shape history, including Augusta Savage. Registration is required and seating is limited for her events. At noon, Hyater-Adams and her four students will present their spoken word stories created in response to the Augusta Savage exhibition. Hyater-Adams runs Narratives for Change, a business using storytelling to cultivate and preserve women’s personal and leadership narratives. 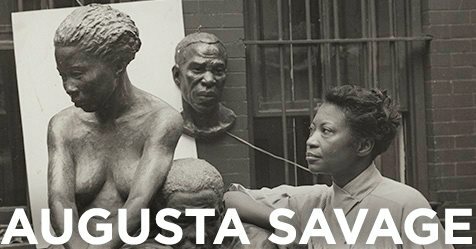 The biggest production in Cummer history, “Augusta Savage: Renaissance Woman” was curated by Jeffreen Hayes and the Cummer Museum. After it ends its time in Jacksonville, the exhibit will travel to the New-York Historical Society, the Palmer Museum of Art at Pennsylvania State University, and the Dixon Gallery & Gardens in Memphis. For more information, visit www.cummermuseum.org.